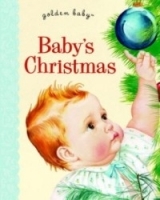 A funny picture book about friendship, in the tradition of Arnold Lobel’s Frog and Toad. Mr. Biddles is a cat inventor, and Hobson is a lobster that is left on his front porch. An odd pair indeed, but when Hobson joins Biddles in the lab (where he invented not only his catnip diffuser but also his automatic mail retriever! ), they discover that Hobson has a gift: two super-useful claws. Mr. Biddles always needed help in the lab, but he hadn’t known how much until Hobson came along. The two enjoy one another’s company and work well side by side, but one day, Hobson begins to miss home. Biddles badly wants to invent a way to get his friend home safely. But how? Hobson is from the faraway coast, and can travel only in five gallons of water! Kristine A. Lombardi meticulously created convincing worlds for both Mr. Biddles and Hobson using collaged ephemera from years of collecting old receipts, postcards, photos, diner bills, business cards, blueprints, and everything else you can think of! 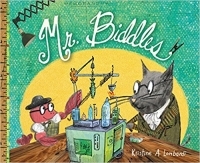 MR. BIDDLES stars a cat named Mr. Biddles who is an inventor. He creates all types of new gadgets and is working on a catnip diffuser. Even though he stays very busy, he feels lonely. Then, Hobson appears on his door from Maine. He's a lobster and was taken from his home, so Mr. Biddles lets him stay. However, Mr. Biddles doesn't anticipate how much help Hobson will be with his large claws. Soon, Mr. Biddles is having fun and finally has a friend, but Hobson becomes homesick. It's up to Mr. Biddles and his inventions to get Hobson back home. MR. BIDDLES is a story about an unlikely, but perfect friendship between a lobster and a cat. I loved the pictures and how a lot of them were real, not just illustrated. I loved the inventions and how they fit both animals. Final Verdict: I would recommend this book to children who love inventions, stories about friendship, and animals.